I don’t want to sound old (EB is old too), but lately I’ve been moving my mouse around and I can’t see my darn mouse pointer. Most pages web pages have white or very light backgrounds, so why is my mouse pointer white? You’re no spring chicken either, Mr. Bill Gates! Just because all the geeks you hire are twenty-something does not mean you don’t have old codgers like me using Windows. 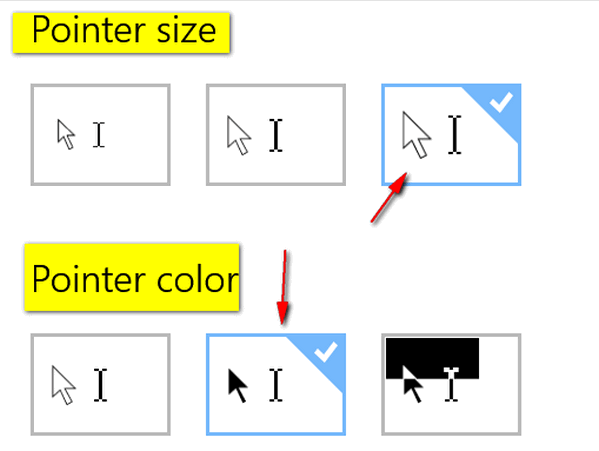 If you’re like me and you sometimes find it hard to locate your mouse pointer, we’re going to show you how to make your mouse pointer bigger and blacker so you can actually see it with moving it around to find it. It’s so easy to do. Click on your Start button and click “Settings” (you can also open Settings by using the Windows Key + I shortcut. I – like the pronoun). Then click on Ease of Access. 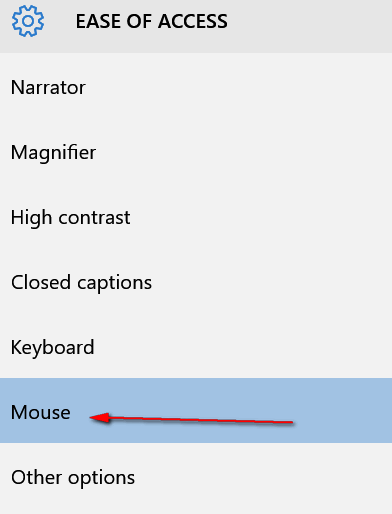 In the Ease of Access menu (above) click on “Mouse”. You can change your pointer from white to black or black to white or black and white — and you can make the pointer, small, medium or large. Above you can see under Pointer size I chose the largest size, and under Pointer color I choose black. I got tired of hunting for my tiny white mouse pointer, and now I’m happy because I can actually find it very easily. See? I would like to make the pointer just a little bigger than the largest option. There must be some way to do that. 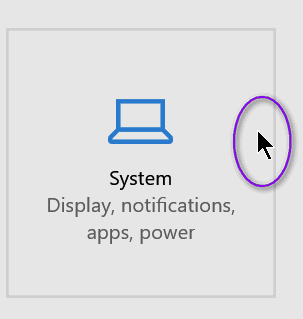 Yes you can change your display settings so everything is bigger, like 150% – however if you do that some other items may not appear correctly.